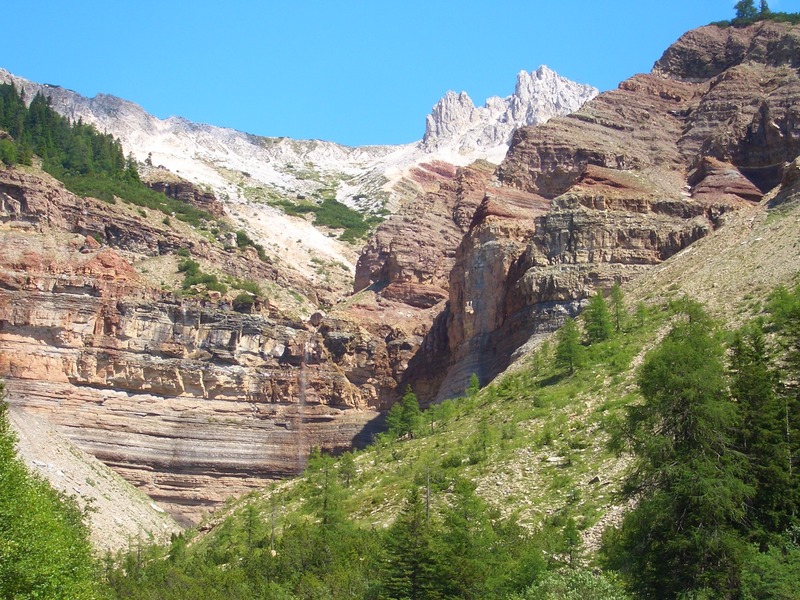 The Bletterbach gorge is the solely only canyon in South Tyrol and shows geological treasures and a wide variety of landscapes from an unusual perspective. 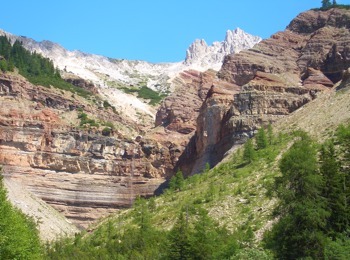 Undertake a journey back in time and learn more about the Ice Age in the Dolomites. The best way to explore the gorge Bletterbach is on the Geo Path. 16 notice-boards inform about the main attractions and rock strata through millions of years of geological history. They provide also information about important founds like carbonised plants and trees, fossilised micro-organisms, shellfish and cephalopods and the many traces of very different types of prehistoric reptiles. The Bletterbach gorge in Southern South Tyrol offers an insight in the interior of the Dolomites, into the world of stones. The gorge is 8 km long and 400 m dept. It is the result of weathering and erosion. You can reach the Bletterbach gorge from Auer or Neumarkt, then continue via Montan to Aldein, and turn right after the village, in the direction Lerch, where you reach the car park near the visitor centre below the Alpine hut Lahner. It is also possible for children, older people and the disabled to make a small tour, starting from the visitor centre, on the forest educational path.